Barack Obama and Joe Biden welcome Shimon Peres in the Oval Office. President Obama will visit Israel in March, fulfilling a campaign promise and making him only the fifth sitting president to ever visit Israel. He previously visited in 2006 and 2008. 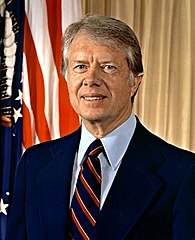 Only Jimmy Carter and Bill Clinton visited Israel during their first terms; Richard Nixon and George W. Bush visited Israel in the last year of their second terms. The goal of the President’s trip is to reaffirm the strong friendship between the United States and Israel and to work with Israel on two key issues: Iran and Syria. When it comes to the US-Israel relationship, we must stand together, regardless of partisan differences on other issues. President Obama returns to Israel in March. He visited Israel in 2006 and 2008. This will be his first visit as President. Former deputy assistant secretary of defense for the Middle East Colin Kahl told reporters in June 2012 that “we can expect [Obama] to visit Israel in a second term should he be elected.” And so he is. US Ambassador to Israel Dan Shapiro said “The visit will be a good opportunity to reaffirm the strong and enduring bonds of friendship between Israel and the US.” Shapiro emphasized that the most pressing issues facing the two countries are the Iranian nuclear program and the potential transfer of chemical weapons in Syria. Read more in the Jerusalem Post. 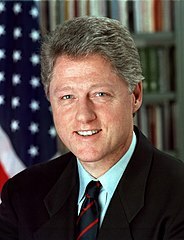 Only two presidents visited Israel in their first term: Jimmy Carter and Bill Clinton. Richard Nixon and George W. Bush visited Israel in the last year of the their second terms. Harry Truman, Dwight Eisenhower, John Kennedy, Lyndon Johnson, Gerald Ford, Ronald Reagan, and George H.W. Bush never visited Israel as president. During his first term, in 2003, George W. Bush did manage to participate in a summit at the Port of Aqaba in Jordan, just nine miles from Israel (closer to Israel than Cairo). But Bush didn’t visit Israel. Instead, Bush said that “we have a problem with Sharon” and was visibly irritated with the then-Prime Minister. Remember how the Democrats exploited this for political gain in the 2004 election? Me neither. During the 2012 campaign, President Obama was criticized by some people for not having visited Israel during his first term, as if US presidents routinely visited Israel. We were told how important it was for the President to visit Israel and what a shame it was that he hadn’t. At the time, I said that I wished President Obama had visited Israel. Of course it’s good if the president visits Israel. It’s good if any politician visits Israel. The more times the better as far as I’m concerned. But the reality is that presidential visits to Israel are unusual. We in the pro-Israel community judge office holders on their policy positions, not their travel itineraries. If the criticism from our Republican friends during the campaign was sincere, one would expect them to be praising President Obama for fulfilling a campaign promise and visiting Israel. Our Republican friends claimed last June that the reasons President Obama didn’t visit Israel were his personal distaste for Israel, his fear of being booed and rejected by Israelis, his desire to distance himself from Israel, and a desire to avoid drawing attention to the failed peace process. And what do they say now? They say going to Israel is a mistake on President Obama’s part. Not the right time. I’m not making this up. If President Obama had visited Israel last year, do you think they would have praised President Obama for going or decried it as an election stunt? The President can’t win with this crew. If President Obama split the Sea of Reeds and walked through it dry-shod, they’d say he couldn’t swim. It’s okay to disagree about policy. It’s okay to change your mind. But when you’ve excoriated President Obama for four years for not visiting Israel, and then he does exactly what you’ve said was so important, maybe it’s time to acknowledge that the President is doing something we should all be proud of and thankful for. The President of the United States is visiting the State of Israel. That’s good. And there is never a bad time to visit Israel. The reality is that prior to his re-election, President Obama eliminated Osama bin-Laden, did more than any other president to stop Iran’s illicit nuclear program, restored Israel’s qualitative military edge after years of erosion under the Bush administration, secretly sold Israel the bunker-busting bombs it requested but did not receive during the Bush administration, increased security assistance to Israel to record levels, boycotted Durban II and Durban III, took US-Israel military and intelligence cooperation to unprecedented levels, cast his only veto in the UN against a one-sided anti-Israel Security Council resolution, opposed the Goldstone Report, stood with Israel against the Gaza flotilla, and organized a successful diplomatic crusade against the unilateral declaration of a Palestinian state in the UN Security Council. After his re-election, freed from the need for Jewish votes, what did President Obama do? He spoke out against the unilateral declaration of a Palestinian state at the UN, stated yet again that “we’re not going to let Iran get a nuclear weapon,” and forcefully condemned Hamas and unequivocally supported Israel’s right to defend itself in Gaza. And now he’s going to Israel. When it comes to the US-Israel relationship, we must stand together. This is essential reading from Aaron Keyak. We can’t afford to let Israel become a partisan issue. There are major policy differences between Democrats and Republicans, but Israel is not one of them. Please send Aaron’s op-ed to anyone who loves Israel and the values we cherish — even (or perhaps especially) disillusioned Republican moderates looking for a political home. Better yet, share this entire article by using the symbols at the top or the bottom to post it on Facebook or Twitter.